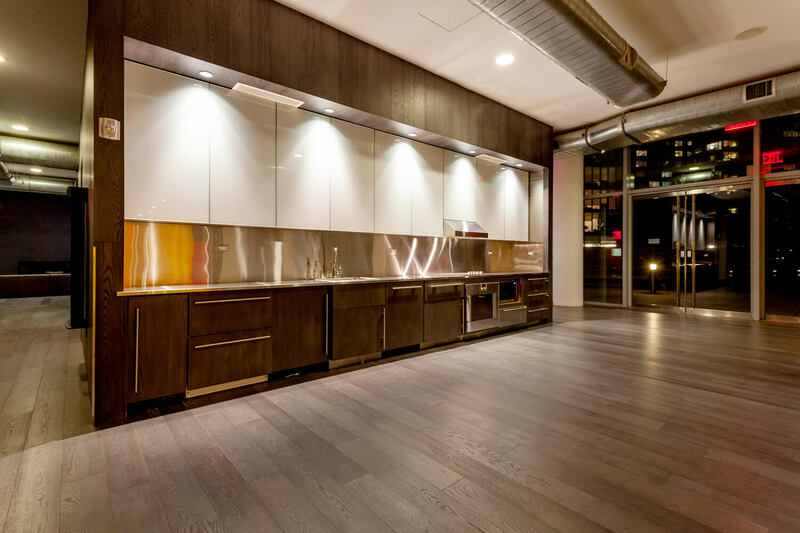 With the extraordinary array of available amenities, residents embrace the Mercedes House lifestyle. The Mercedes Club is truly full-service and includes the following amenities: Access to elite personal trainers, well-tended locker rooms, state-of-the-art equipment including cardio, free weights, steam rooms, and more. The club offers everything you need to reach peak performance without having to leave the comfort of Mercedes House. Some of the city's top instructors teach our in-demand spin courses. 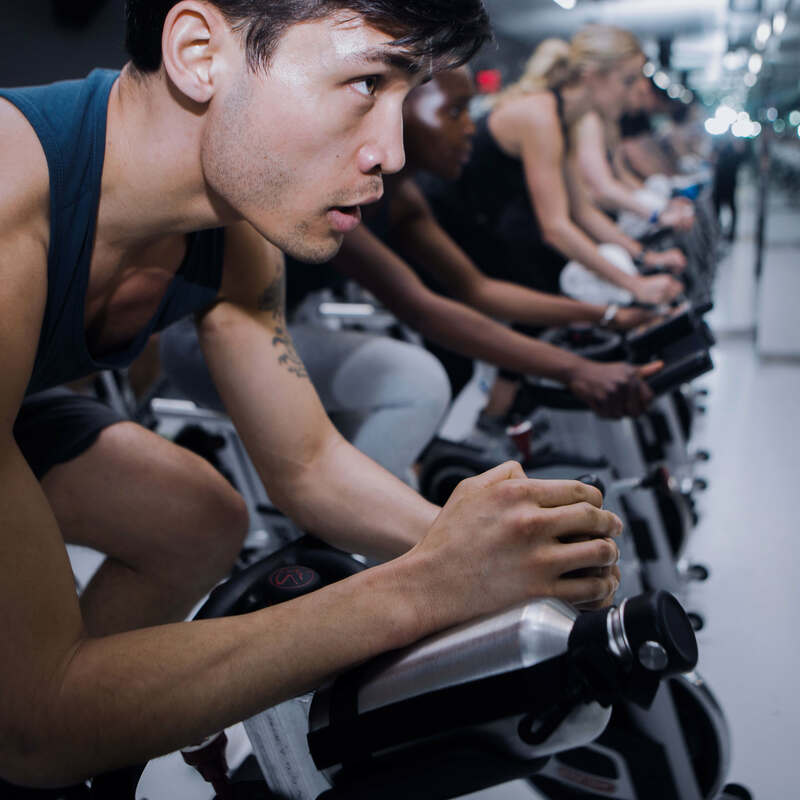 Our dedicated studio space is home to several energizing and sweat-inducing courses, and residents can reserve their bikes in advance. 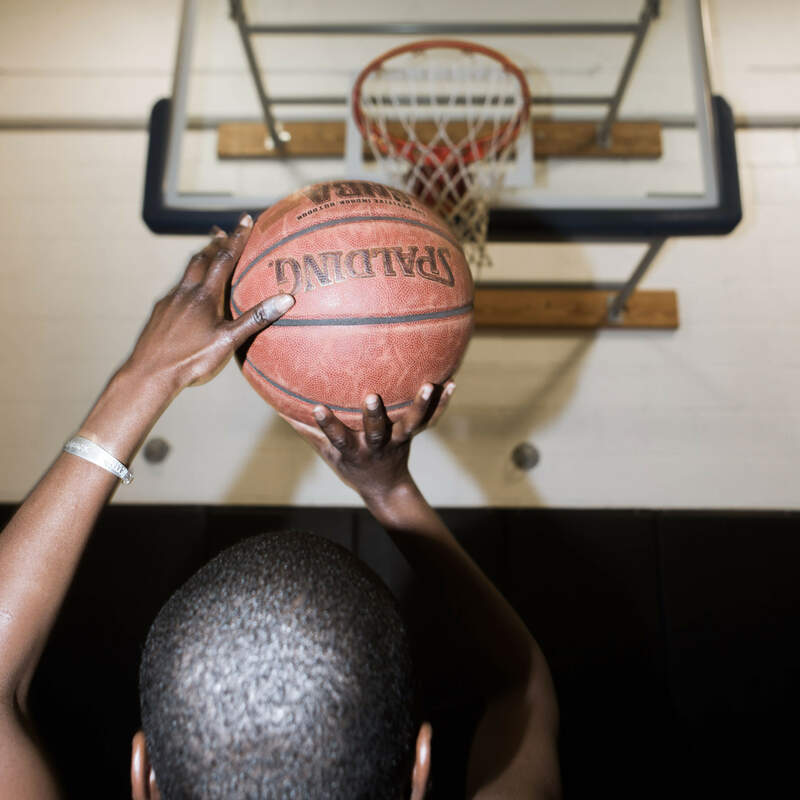 Fine tune your long-range 3 point shooting or cool down after a workout with a quick game at our indoor basketball court. With over 70 class options with top New York instructors included weekly at Mercedes Club, there is something for everyone. With spinning, yoga, boxing, sports conditioning and other specialty classes, you’ll find what you’re looking for to look and feel your best. High intensity boxing classes are held in the same space as our acrobatic and meditative martial arts courses. 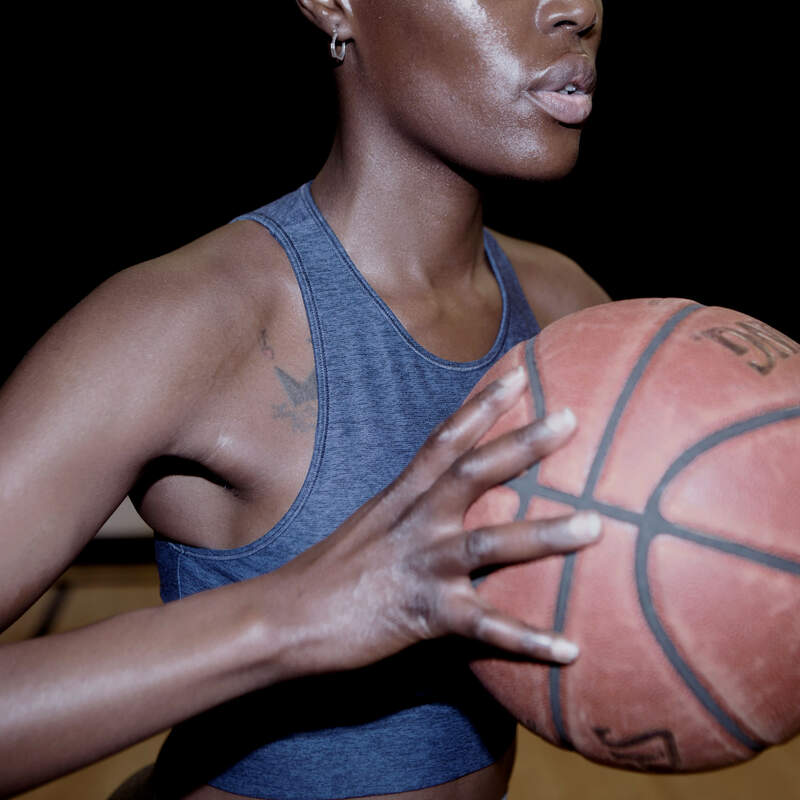 We highly recommend these fitness methods to novices and experienced practitioners alike. 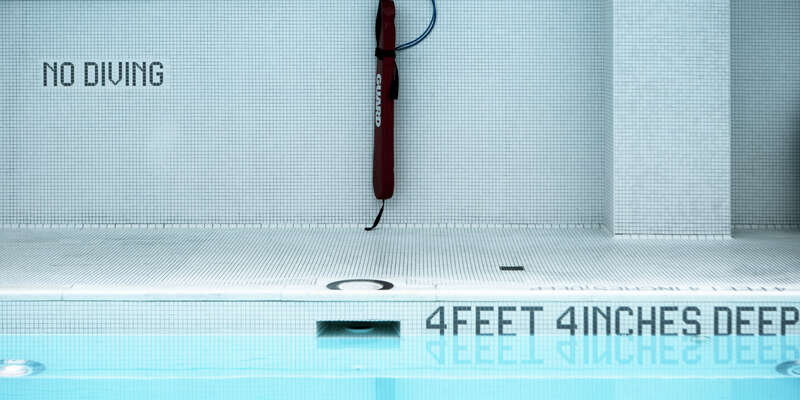 Our 25 meter swimming pool is heated to a temperature that optimizes performance and comfort. Situated under skylights, you get the feeling of being outdoors year-round, whether you’re training solo in our lap lanes or taking classes. Whether you see strength or Vinyasa-style flow from yoga, our range of classes run from yoga fundamentals to advanced workouts for all skill levels. When weather permits, classes are often outdoors to maximize energy and flow. 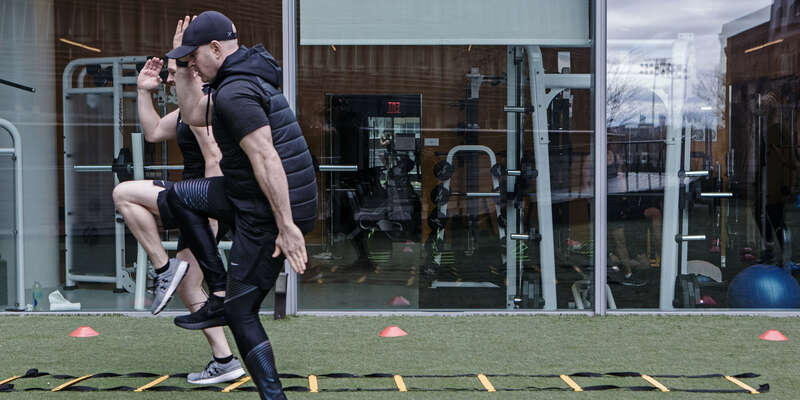 In warmer months, our expansive outdoor spaces become the playground of those dedicated to fitness beyond the gym where you can enjoy open-air personal training sessions, classes, and wide open space for stretching. For residents on the go, Mercedes Club offers convenient places to change and store your belongings —and a constantly refreshed pile of laundered towels at your fingertips—to remove the hassle from your workout or pool time and get you on your way. The outdoor pool and sundeck at Mercedes Club give the feel of a full-service resort within the comforts of your home. Make it your destination of choice with a book and a drink once temperatures rise. Our full-time staff of elite licensed personal trainers are on call and available around the clock at Mercedes Club. We'll help you figure out which one is right for you—each specializes in a different modality—to ensure your workouts are customized perfectly to your goals. Grab a glass of wine, bottle of beer, or a bite to eat with friends or fellow residents in our cozy bar—perfect for a post workout pick-me-up or those New York days you don't want to face the elements outside but need to unwind. 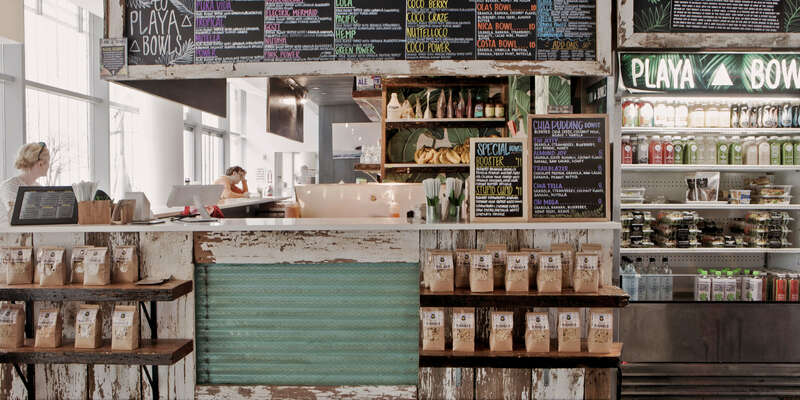 Fresh fruit and vegetable juices with vegan snack options to grab on your way out of the gym or in the morning on the go—our bar is a healthy eating option you don't have to travel far from home for. Want to host an event but don't want to have it in your personal space? You can rent space in our lounge area with a chef's kitchen attached—cook yourself or bring a chef to cater for the night. Movies are shown regularly during the spring and summer in on our outdoor screening area —watching a film under the New York skyline is an experience that can't be beat. Have a consulting gig or working from home? No need to stay in your apartment—our resident lounge and common spaces are all equipped with WiFi and offer the perfect space to set up shop. Plus, lounge fireplaces are ambient spaces to inspire your next great idea. A large screen TV viewing area is also available to watch a movie or catch the big game. Because nothing goes better with binge watching than snacks, we have a popcorn machine in our screening area. We've put a fun modern and social twist on this ancient Roman game and our residents love to join in on bocce once the weather warms up. Enjoy watching our seasoned players give it a go or join yourself! 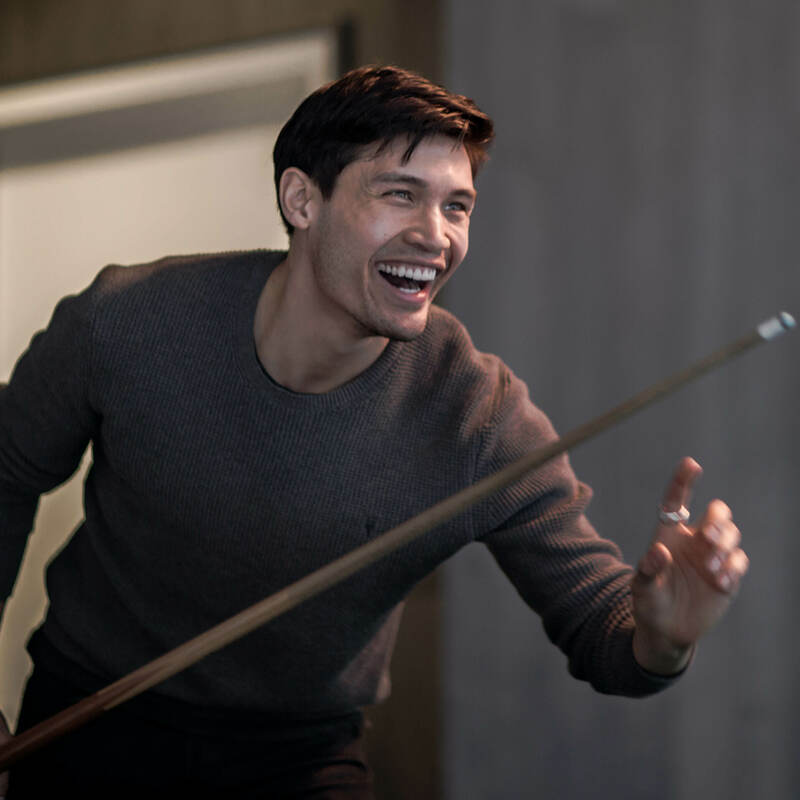 Billiards and Table Tennis are favorite activities in our resident lounge. 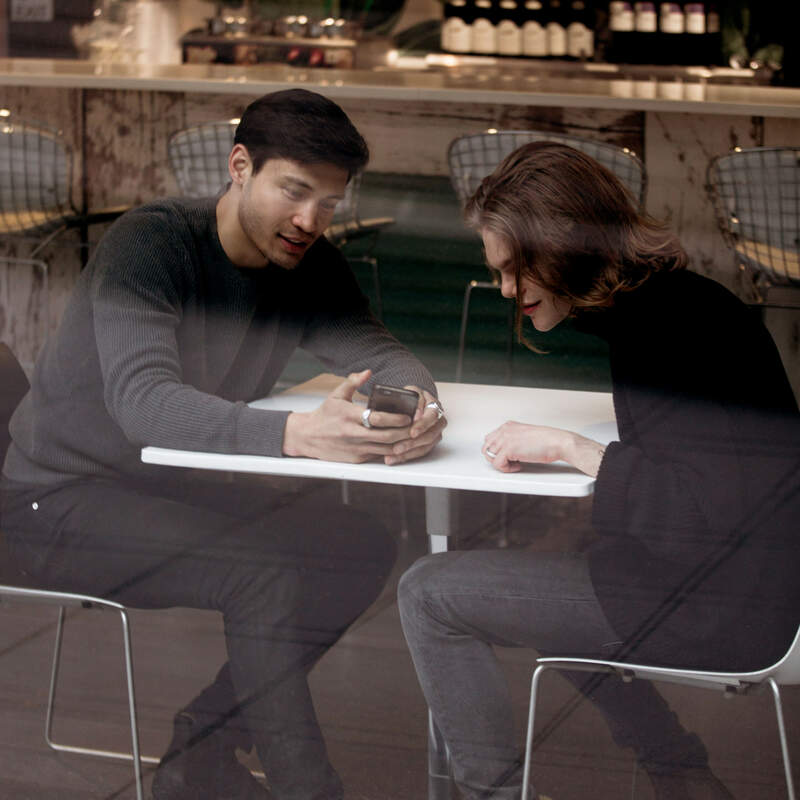 Whether sneaking in a quick social game while grabbing a drink from the wine bar or facing off in an epic battle of wills with your neighbor for bragging rights, these tables are a popular outlet for our residents to unwind. This haven for pampering and self-care offers everything you need to feel and look your best, from waxing services to facials and massages. A dip in our powerful jet jacuzzi is a therapeutic and restorative way to end (or start!) your day. 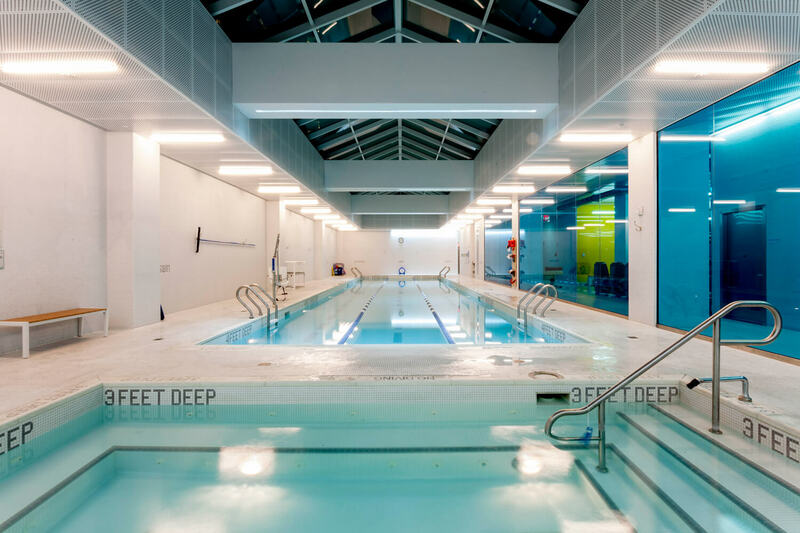 Situated next to our heated indoor pool, the skylights of the space deliver stunning city views and an ambiance of tranquility year-round. 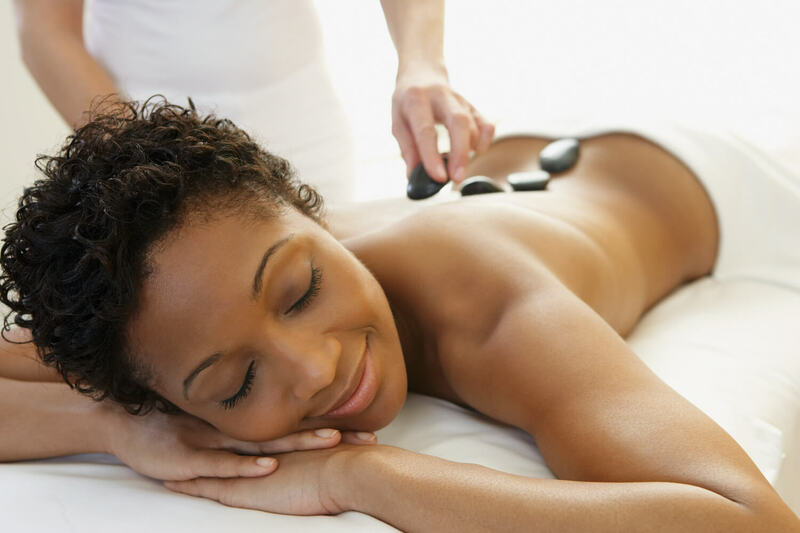 Massage is known for its healing benefits so we prioritize making massage therapists available who have a diverse range of massage techniques and skills best-suited to your relaxation and rejuvenation needs. 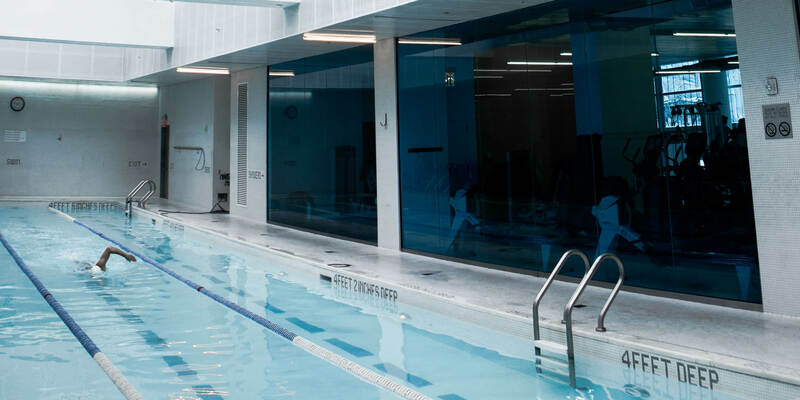 Whether you're looking for a detox or some time to relax fatigued muscles after a workout, our sauna and eucalyptus-infused steam room are available for residents right inside our facility. Safety meets luxury with our 24-hour service —there will always be someone at the front desk to welcome your guests and tend to your resident needs. 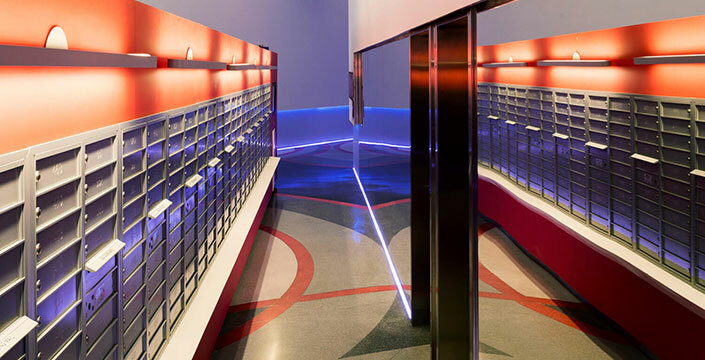 Mercedes Houses's private above ground indoor parking garage allows residents to pull into their own reserved parking space and head straight up to their apartment without braving the elements. Monthly spaces are available to residents. 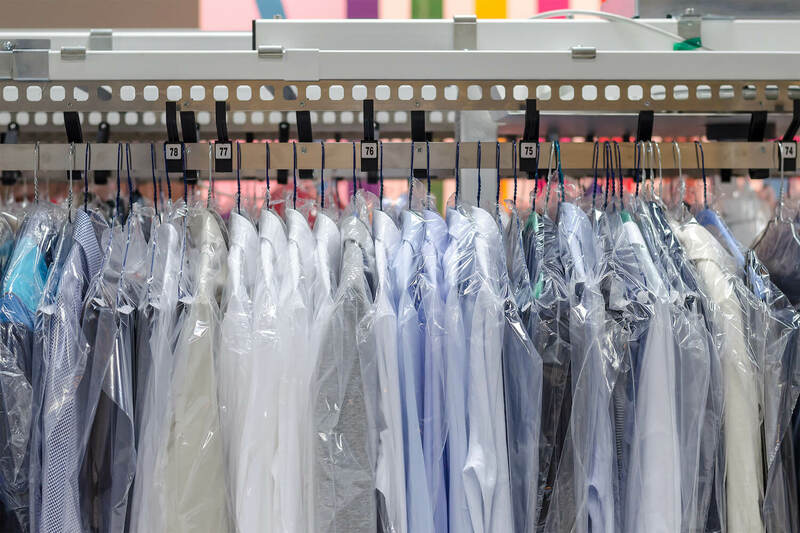 Washers and dryers are available in all units but if you need tailoring or dry cleaning, you can drop off to our onsite cleaners in the lobby. No need to worry about taking a detour on your way to work or back home. We love dogs! 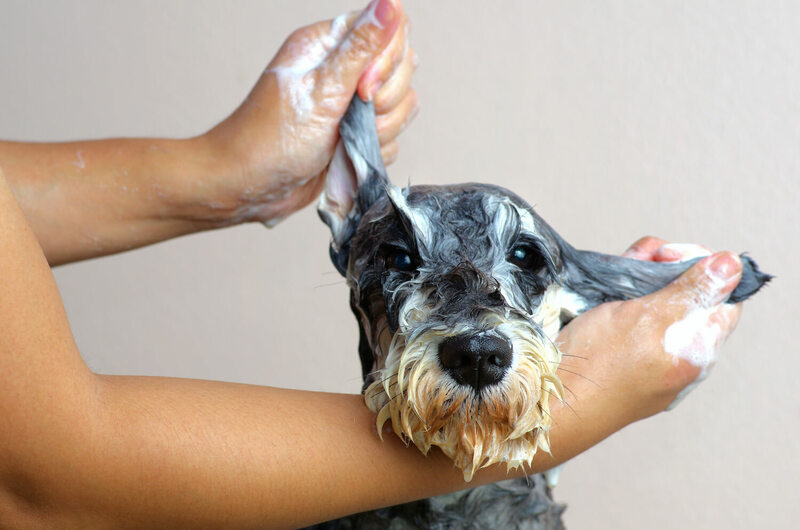 We work hand-in-hand with Spot Experience, a full service pet concierge that provides onsite dog walkers who will come directly to your apartment for pickups and drop-offs, onsite grooming and pampering, pet boarding and daycare facilities for longer term stimulation and TLC. One of the city's most beloved dog parks is steps away, on 11th avenue in De Witt Clinton Park. The runs have a loyal crowd so your dog is sure to meet a community of friends. 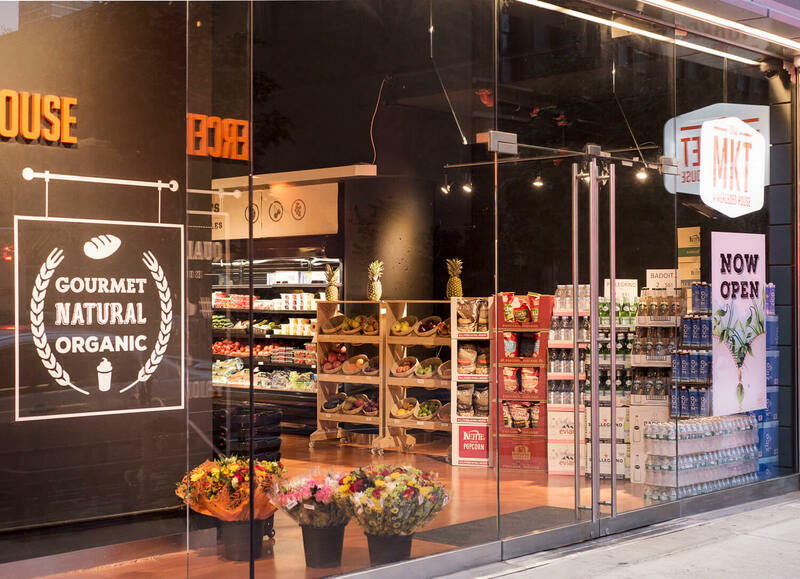 Our adjacent specialty market carries a variety of prepared foods, gourmet groceries, and everyday convenience items. Don't want to leave your place? They'll deliver straight to your apartment. 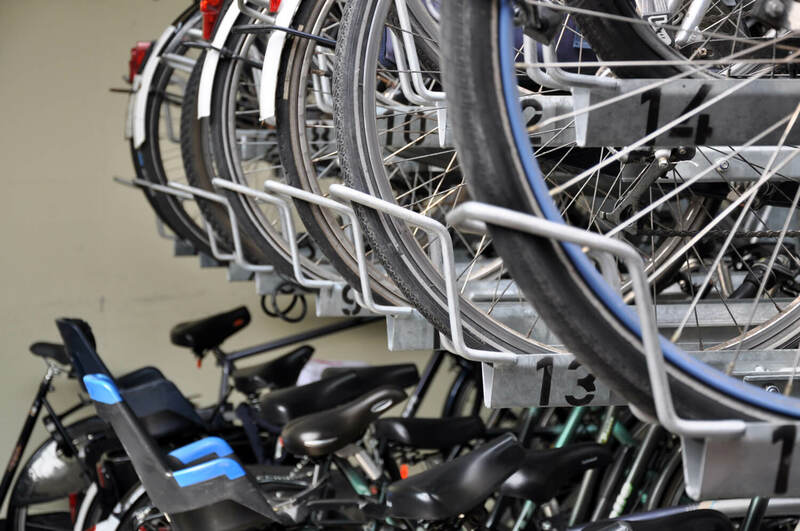 Safely house your bike in our secure bike parking space —if you use it for your daily commute, access is easy and quick. If you simply need it for storage, there's space to keep it for as long as you'd like. Receive your packages when you're away, we'll keep them safe until you're ready to pick them up. There's cold storage space if you're being shipped perishables. 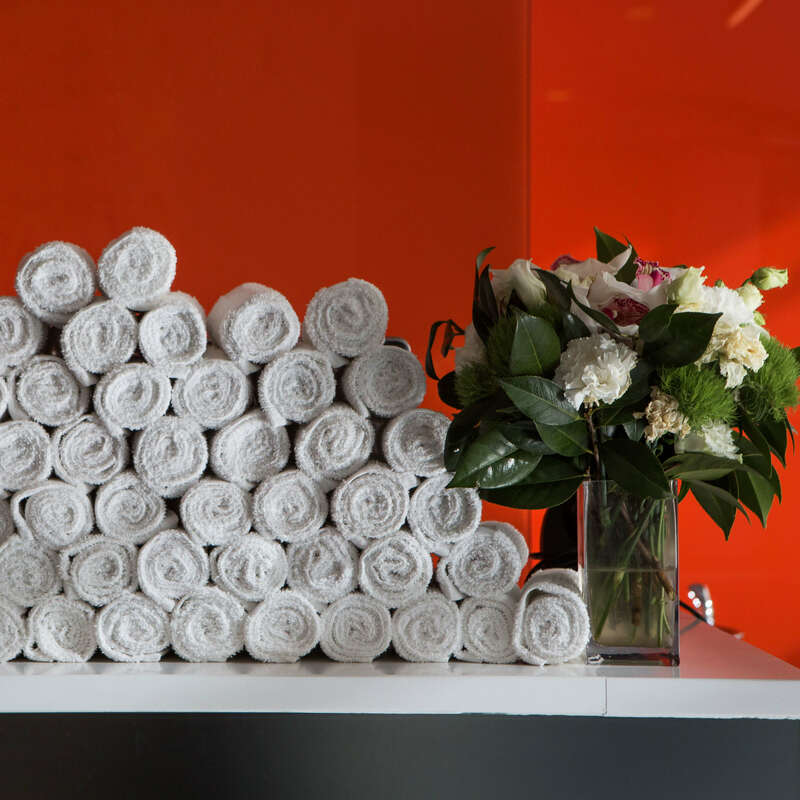 For residents on the go, Mercedes Club offers convenient places to change and store your belongings—and a constantly refreshed pile of laundered towels at your fingertips—to remove the hassle from your workout or pool time and get you on your way. 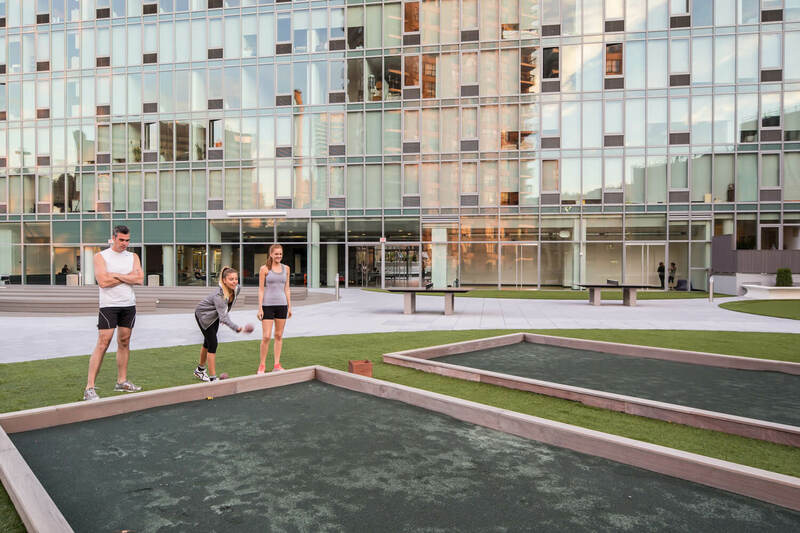 We’ve put a fun modern and social twist on this ancient Roman game and our residents love to join in on bocce once the weather warms up. Enjoy watching our seasoned players give it a go or join yourself! 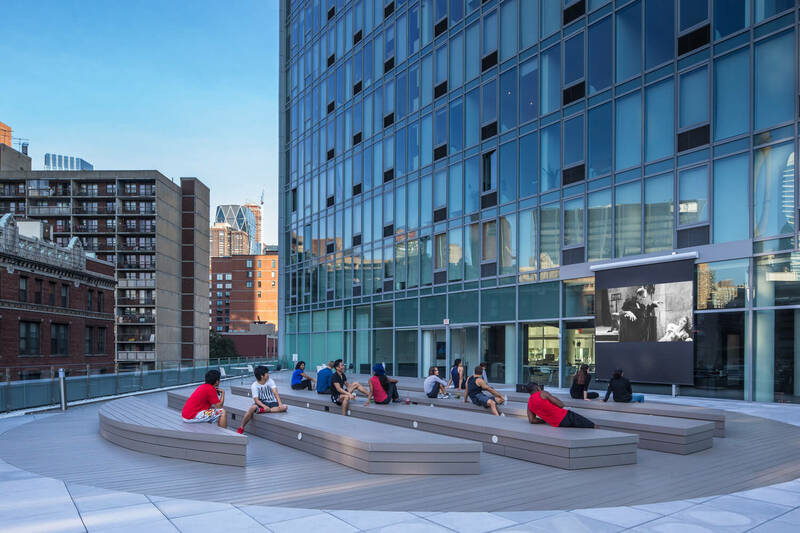 Movies are shown regularly during the spring and summer in on our outdoor screening area—watching a film under the New York skyline is an experience that can't be beat. 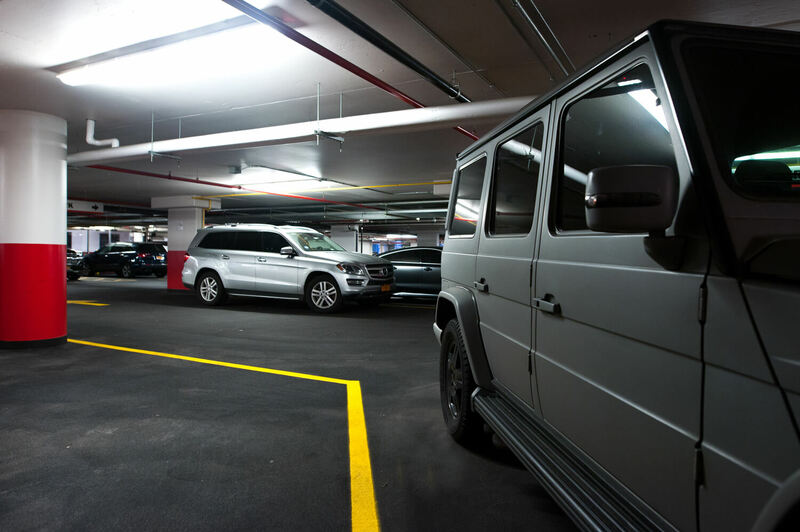 Mercedes Houses’s private above ground indoor parking garage allows residents to pull into their own reserved parking space and head straight up to their apartment without braving the elements. Monthly spaces are available to residents. Washers and dryers are available in all units but if you need tailoring or dry cleaning, you can drop off to our onsite cleaners in the loby. No need to worry about taking a detour on your way to work or back home. Safely house your bike in our secure bike parking space—if you use it for your daily commute, access is easy and quick. If you simply need it for storage, there's space to keep it for as long as you'd like. 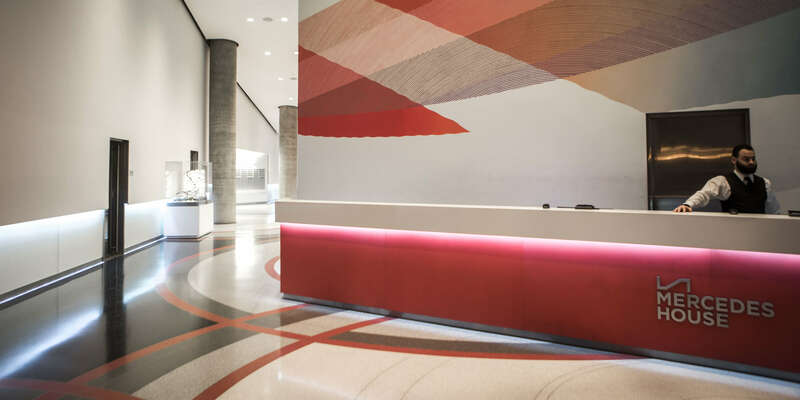 Safety meets luxury with our 24-hour service—there will always be someone at the front desk to welcome your guests and tend to your resident needs.